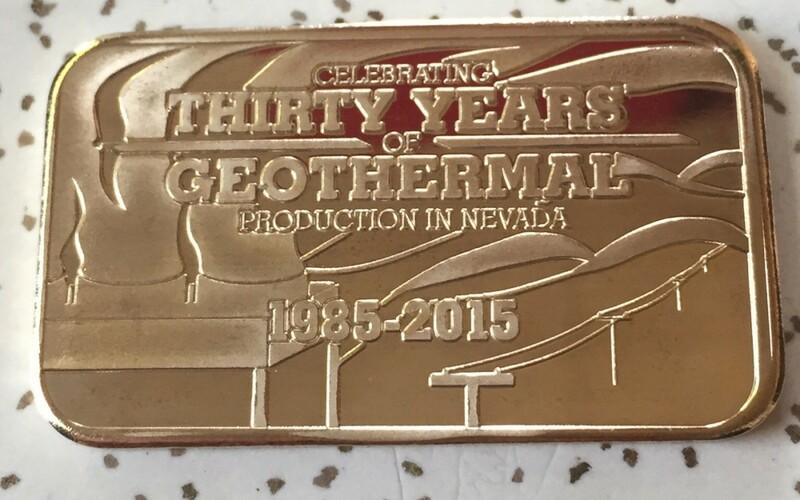 Nevada Petroleum & Geothermal Society approached 509 Creative to design a commemorative ingot for the 30 year anniversary of geothermal production in Nevada. They had a few very basic ideas and let us take care of the rest. We started with a rough background sketch and a seal to commemorate the 30th anniversary. The goal was to tie the energy aspect with the natural beauty of Nevada’s mountains. 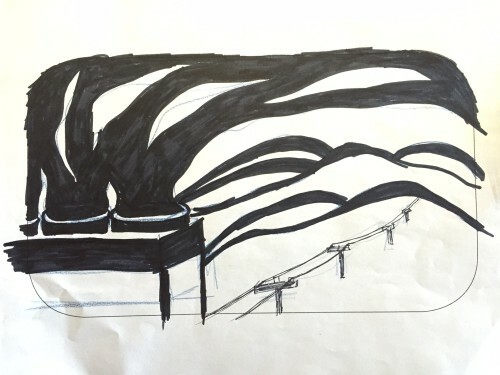 Initial rough sketch, the first stage in the design process. 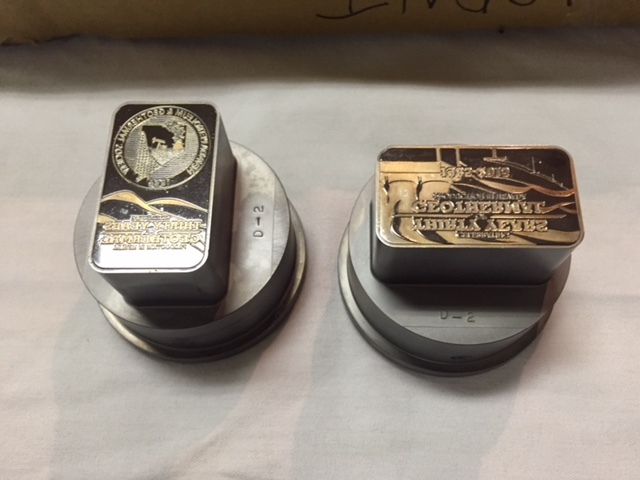 Once the NPGS approved the art, 509 Creative worked closely with the Marshall Mint in Virginia City to supply digital files that were suitable for the minting process. We meticulously redrew the image so all lines were smooth and crisp and sent if off. Last night at the monthly NPGS meeting, David was presented with the first ingot as a thank you for his contribution. We also learned that the dies and ingots will be placed on display in the The W. M. Keck Museum at the University of Nevada. 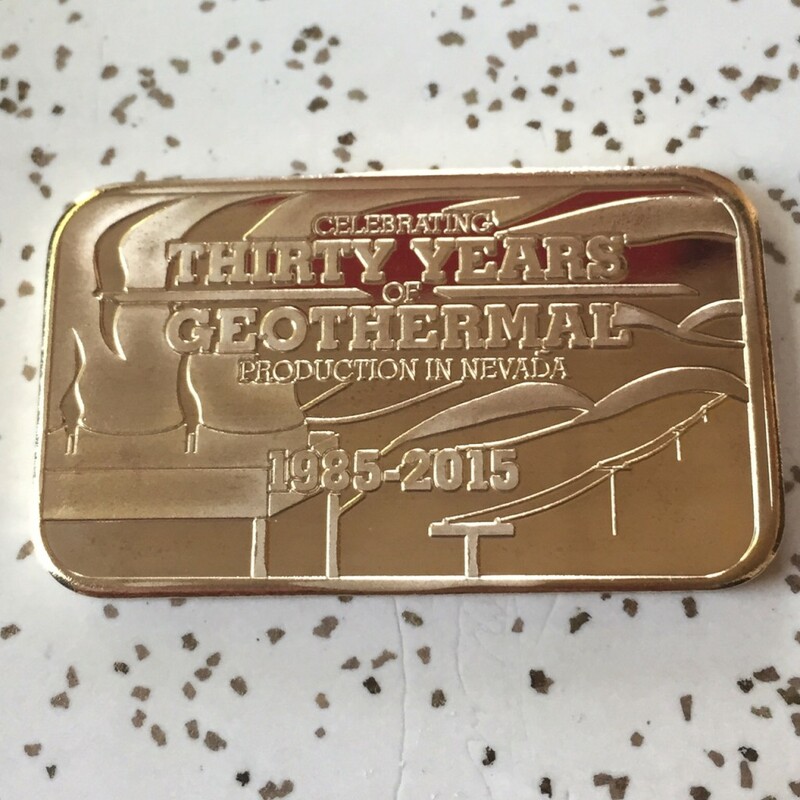 If you’re interested in purchasing a commemorative ingot, you can get them here.